More pertinently, what is your long run this weekend? 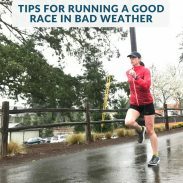 Many runners are increasing their long runs as they begin training for fall marathons and half marathons, while others extend their runs to enjoy the nicer weather. 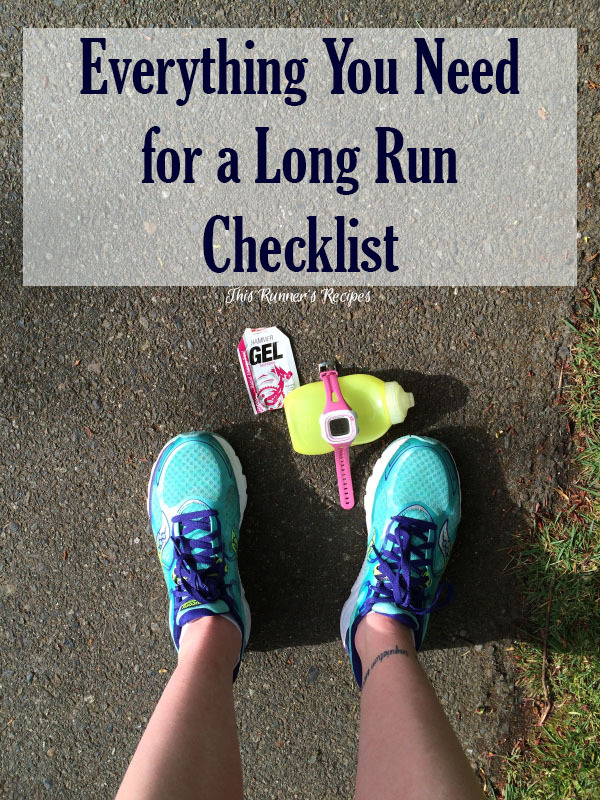 The steps on this long run checklist are fairly basic, but oftentimes it helps to have everything written down in one place. As the temperature rises, we need the reminder also to dress for warmer weather, hydrate well, and take all the little steps to prevent bonking, chafing, or sunburn. For new marathoners or half marathoners, these tips will make your long runs go more smoothly. With everything from hydration to the proper gear accounted for, all you have to worry about is the distance – which is the fun part! 1. Eat your pre long run snack. Long runs by definition require an upwards of 90 minutes of running, even up to 3 to 4 hours for 20 mile long runs during marathon training. You would not start on a road trip with your gas empty light flashing, so apply the same logic to running and don’t start on an empty stomach – especially if you are doing your long run first thing in the morning! A pre long run snack goes a long way in keeping you energized for the miles ahead and preventing runger later in the day. The size of snack and when it’s eaten before the run varies based on the individual runner’s preferences, fueling needs, and strength of stomach. Foods like bananas, toast, sweet potatoes, dates, and oatmeal make excellent pre-run meals due to their high amounts of carbohydrates. Most runners do best eating 1-2 hours before their long run to allow time for digestion. Experiment and find what works with you! 2. Gather your gels, water, or electrolyte tablets. Before you head out the door, gather all the ergogenic aids you need: gels or chews, water bottles, electrolytes, etc. You don’t want to forget your running fuel on your long runs! Some runners can have trained themselves to be efficient in their use of glycogen, especially for half marathon long runs. But for marathon training runs over 2 hours or newer half marathons, quickly absorbed simple carbohydrates will provide you with the energy to keep running once your body has burned through your stored carbohydrate. There’s no need to guzzle gels during your entire run; pack about 1 gel for every 45-60 minutes, although it never hurts to bring an emergency gel in case you drop one or bonk. Dehydration during long runs can cause nausea, fatigue, and a whole host of problems. 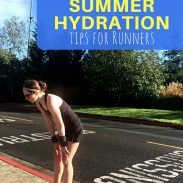 Especially if you are accustomed to completing your long runs without water during the cooler winter months, proper hydration needs to be a priority on your summer long runs. Carry water with you or plan your route near public water fountains and drink to thirst on your long runs. On very hot days or if you’re a salty sweater, it may not hurt to take electrolyte tablets or fill your water bottle with Nuun or a homemade sports drink to provide extra electrolytes. 3. Check the weather and dress appropriately. I don’t know about where you live, but here in Seattle the summer heat seems to have arrived without warning. My immediate instinct each morning is to don my favorite Saucony bullet shorts and a long sleeve running shirt, but some mornings now are too hot for that! Avoid wearing too many clothes out of habit and check the weather each morning (or if you run early in the AM, the night before so you can lay the appropriate clothes out). While individual preferences vary, once the heat reaches 65 degrees or high humidity sets in, choose a wicking tank or short sleeve shirt, shorts, wicking socks, and a good sports bra if you’re a woman. And don’t forget to weather-proof your hair by taking extra steps to prevent tangles! When in doubt, dress as if it’s ten degrees warmer than it actually is, and err on the side of underdressing rather than overdressing during the summer months. I don’t know about you, but I hate getting lost on a long run or running back and forth in circles past my car because I didn’t plan my route out. Whether you’re running an out and back, a loop, or a point to point route, plan it ahead of time. This is an issue of safety as well; it’s good to alert family members of your planned route. Thanks to Map My Run, there’s not need to pull the old trick of driving your route ahead of time (which is difficult and probably illegal anyway if you’re running trails!). 5. Let someone know your plans. Expanding on the previous tip, let your significant other or a close friend know when you’re running, where you will be running, and how long you plan to be out there. It’s always better to be overcautious in this regard, especially since all you need to do is text or make a quick phone call. In case of an emergency such as if you sprain an ankle, encounter an angry animal, or get lost, you want someone to be easily able to locate you. Summer means less clothing and sweaty skin, which can cause uncomfortable chafing on long run. Apply some Bodyglide or coconut oil to sensitive spots such as the inner thighs, sports bra line along the breastbone for ladies, and underarms. Don’t forget your sunscreen! It’s easy to fall out of the habit of wearing sunscreen during the cold and dreary winter months, but longer daylight hours and higher sun visibility mean an increased risk of sunburn or sun damage to your skin. Apply SPF 30 or higher sunscreen to any exposed skin, particularly your face, ears, and neck, about a few minutes before heading out on your run. For extra protection from the sun, wear a hat and plan on running on a shaded route if possible. 7. Perform some dynamic stretches and activate your glutes. Your long run will feel significantly better from start to finish if you warm up your muscles and joints with some dynamic stretches, such as this quick routine. Exercises that mobilize your hips and work your glutes to activate those powerhouse muscles work well also. If you still don’t feel warmed up after these, walk for 5 minutes or as your GPS watch searches for signal and then you’re good to go! What’s your go-to pre long run snack? How far are you running for your long run this weekend? Races are always so nice because there’s no need to worry about getting lost (hopefully – I’m sure we’ve both heard horror stories!). Congrats again on your race! love a good list! I am always an oatmeal before I run girl since it’s early in the morning and I consider it part one of breakfast. I don’t know how long I am running yet on sunday – will depend on how tired my legs are tomorrow from my birthday soul cycle pure barre combo! Thank you! I’ve been doing oatmeal before my Sunday runs since we go to church before Ryan and I run and it works so well as pre run food! Plus second breakfast is always great. That is one good checklist! I’ve become quite lax about my long run prep. I’ve started doing a long run during the week so it just feels different than doing it on a weekend. Like there isn’t as much pressure, maybe? And I’m the worst about planning out my route. I have a general idea but usually I just go by where I want to go. Thank you! Weekday long runs do feel different than weekend ones even if it’s the same distance – I do mine on the week as well and somehow it feels less stressful for me as well! And sometimes it’s fun to just go and explore! I’m going to be running with the team this weekend, so 7 miles are planned (but they will be broken up). Trying not to overdo it! Smart plan not to overdo it! I hope your run went well! I always plan the night before. I usually run my long runs early in the morning, and I know I’ll forget something if I do it that morning! I always lay out my clothes (along with a few options in case the weather changes) and cook breakfast and leave it in the fridge. The less I have to think in the morning the better! It’s so easy to forget the morning of, especially if it’s before coffee! Smart idea to cook breakfast the night before! My favourite pre-long run snack is a honey stinger waffle. I am loving your new hair cut, by the way!!! SO CUTE. Oh yes make sure the Garmin is charged! Great addition! Winter is so much nicer for long runs, because even if there’s less daylight it’s not obscenely hot outside and you can be a bit more lax on when you get up, you don’t have to worry about chafing or hydration as much, and there’s no need for sunscreen (sshhh I know that’s bad but really who wants to wear it in winter?). Wonderful checklist! Not forgetting water or fuel will be key for my marathon training since I’m so used to going with just a water stop at a fountain in the middle, and no fuel, with half marathon rather than marathon training. Thank you! Marathon fueling and hydration is definitely a whole new thing to learn – especially when it’s in summer! Great tips Laura! Of course my favorite pre-run meal is cinnamon raisin bread with jelly and sometimes a banana. I always lay everything out the night before and make sure to charge my Garmin ahead of time too. Not sure if I’ll test out a short (like a mile) run this weekend just to see how my foot feels or not. Oh, did I tell you I got the bullet shorts for my bday?! I can’t wait to try them out! Oh awesome! I hope the bullet shorts work well for you! They’re so comfy and the pockets are the best. I hope your foot is feeling better! I love this checklist, it’s so helpful! I start half-marathon training tomorrow so this is a great reminder. Also I think I should try gels instead of chews once in a while. Although I love my chews, they aren’t as practical during a race. Thank you! Good luck with the start of your half marathon training! If you do try gels I highly recommend the Hammer Nutrition gels. They’re made with all natural ingredients and are easier to eat (which is good for during a race) and gentler on the stomach than many other gels. 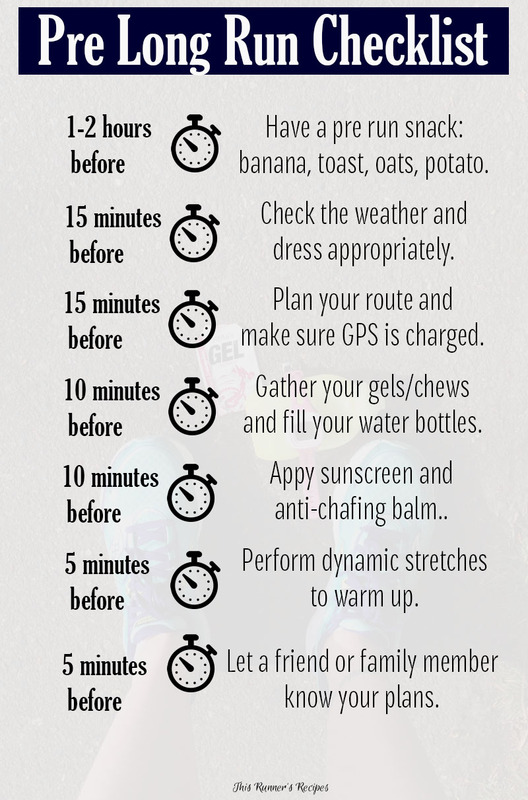 I’m tampering with the idea of running a half in the fall, and this is SO SO helpful. Pinning it right now so I can refer back to it. 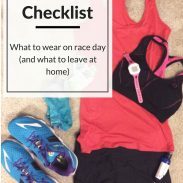 The longest run I’ve ever run was 5 miles, and I’m incredibly intimidated to think I’ll be running over double that, but having informational blog posts such as this helps a lot. Thank you thank you thank you! Thank you! I’m glad you found it helpful! Long runs are intimidating but they’re never as bad as anticipated once you get into them. Half marathons are so fun and rewarding – best of luck on yours! These are great tips! Thanks for sharing! As you know, I was having issues with Body Glide but I tried out 2Toms for the first time yesterday and it was love at first run! I’d highly recommend it! Thank you! I need to check out 2Toms! I’m glad it worked so well for you!